When the earthquake hit Nepal on 25th April 2015 a lot of children were displaced. Some lost their families and others with families had nothing to eat, no shelter and no school to go to. 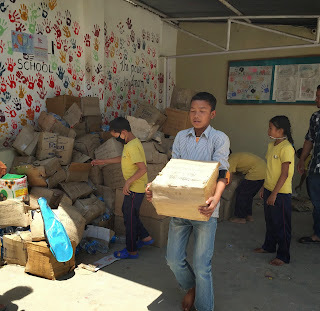 Koseli School Nepal - Hold A Hand started an online campaign to support the children displaced by the earthquake. Using the funds we have raised through our Indiegogo fundraising campaign, we are happy to report that we have admitted Dev Narayan, Nir Bahadur and Nirmala to Koseli School. (You will find their story shared underneath.) A big thank you to all our friends, volunteers and well wishers for supporting our initiative. We are trying to help as many earthquake displaced children at Koseli as we can and in the coming months we will induct more children. We will keep you posted about the progress. Please continue donating even if its a small amount as it will help us reach out to more and more children. quake took away every bit of little possession they had in Sindupalchowk, Ghumthang VDC. With no place to live in, and no skills except farming, making a living in the city seems like a tough task for this family. 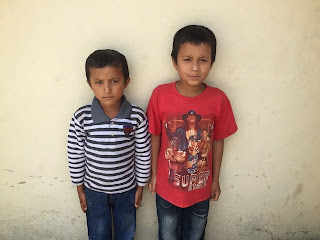 Given their dire situation, and using the funds we have raised through our Indiegogo fundraising campaign, we are happy to report that we have admitted Dev Narayan, Nir Bahadur and Nirmala to Koseli School. With the help of Praveena foundation, we are preparing Pramila for college studies! Our children are helping us deploy materials to the earthquake victims. Thank you to all those who sent us relief materials with so much love! We assure you it's reaching the people who need it the most. The teachers in Koseli come from a financially low background and each teacher has its own battle. Most of them go to morning college and then come to Koseli to work so that they can pay their college fees. The devastating earthquake and the aftershocks haven't not been easy on our teachers as well who come from various villages. A few of our teachers have lost their homes. Suraj who joined us at the age of 20, three years back comes from Gorkha district. He could not pursue his dream of studying engineering as his family did not have sufficient recourses. He happened to join Koseli by sheer luck and now his ambition to become an engineer has fired once again. After the earthquake struck Nepal, Suraj Sir went back to his village. He contacted us today and reported that his house is completely broken. Kumari Khadka is from Pyuthan village. Her mother was murdered by the villagers years back and hence she fled to Kathmandu. She has spent her childhood in an orphanage. She joined Koseli as a teacher and now dreams of opening her own NGO one day. The natural calamity that hit Nepal on 25th a April, did not spare her as well. She returned to her village to find out that her house was totally devastated. We are still waiting to hear from our other teachers. These teachers have no one else to give them hope and support. We urge you to help us rebuild their homes and lives. Koseli Team has been helping the kids orphaned by the earthquake. Today, we visited an orphanage called Raksha Nepal. Raksha Nepal is a registered NGO running since 2004. They have been taking care of sexually exploited girls. Since the earthquake, the kids who have lost their families in the various small villages of Nepal are gathering here. We managed to donate some blankets, mats and food at the organisation as some relief aid. They are expecting more than a 100 orphans in the next few days. We the team at Koseli School plan to induct orphans in our school to provide them a secure future. We plan to fulfill their food, clothing, education, medical, hygiene and sanitary needs. We are expanding our vision and looking at their long term security and we are sure we will be able to help them build a better life.